The AIS 3-5-year-old American English Preschool program works through activities in art, games, storytelling, movement, and songs to help our preschoolers develop self-control, physical coordination, and social skills. Children are exposed to letters, numbers, colors, shapes, and readiness skills in an encouraging, nurturing setting that prepares them to enter Kindergarten. Studies show that children who attend high quality early learning environments develop much better math, language and social skills. Our preschool has grown from only 6 children in 2012 to 30 children in 2017! Our department now has 4 teachers and we have also added many new activities and equipment to our rooms. We have added some new activities to our preschool this year. We now have a dance teacher who comes once a week, an astronomy activity, the 2 meter Seven Continents map, Star Jump Music Time, “Bouncy Balls” exercise for rainy days, and many new sensory activities to engage each child’s need to explore. Also this year, we also have been developing new ways to engage the children in English so that our department has children speaking 2 and 3 languages fluently. 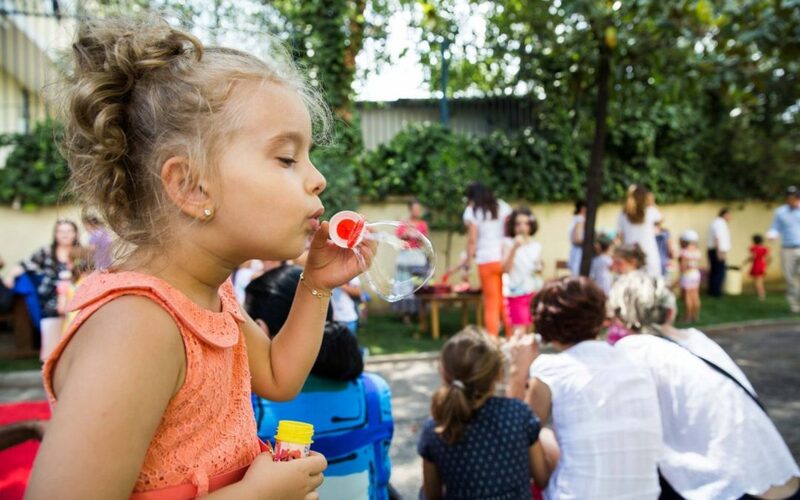 Although our little children speak many languages such as Hungarian, Russian, Arabic, Turkish, Italian, and Albanian, we are all connected by the common thread of English language learning.